Officially, Blizzard hasn’t said if we’re going to get a summer event this year in Overwatch. Unofficially, dataminers have been finding references to one for a few weeks now. 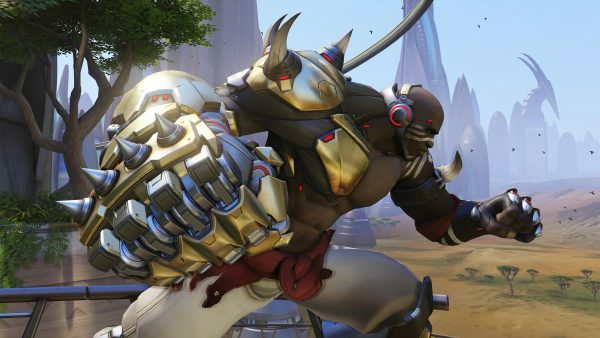 The findings culminated recently with the release of the latest hero, Doomfist, particularly because it looks like he’ll be getting skins and other summer-themed items. Reddit user DocterrificDoc dug up information about this year’s Summer Games event, including four event-specific cosmetic items for Doomfist. One of the four could include a skin, too, though it’s hard to determine this now. Outside of Summer Games event items, Doomfist is said to be launching with 67 cosmetics, which cover the different categories such as sprays, victory poses, highlight intros, voice lines and more. This is a bit of high number for a new hero, so either some of the items simply won’t be available at launch, or Blizzard has ramped up production. Last year’s Summer Games kicked off in August with the Lucioball game mode. The event was themed around the Summer Olympics, which took place in Brazil last year. Blizzard typically doesn’t announce in-game events weeks in advance, but they inevitably leak ahead of time from the game’s international websites.